Ken Ganley Norwalk proudly serves Ohio car buyers from Cleveland and beyond with two dealership locations, stocked with new Hyundai, Chrysler, Dodge, Jeep or Ram vehicles at competitive prices. Thanks to our two car dealerships to serve you in Norwalk, OH, we can offer an extensive supply of new and used cars from five of today's top automakers, and provide dedicated service centers and parts departments for maintenance. When you visit our Hyundai dealership or our Chrysler, Dodge, Jeep, Ram (CDJR) dealership in Norwalk, we offer a hassle-free car buying and financing or leasing process, because we know that your time is valuable. Our two dealerships are located on the same premises in Norwalk, OH, because we want to make it easy for local car buyers to shop our new and used car selection, visit for auto maintenance and get financed all at one convenient location. While we have you here at our website, click on either of our Ken Ganley Norwalk dealership sites and browse through our entire inventory of new and pre-owned vehicles for sale. Our website is regularly updated so that you can shop our up-to-date inventory and take advantage of our latest specials on service, parts and new and used cars for sale near Cleveland! Our two Ken Ganley Norwalk dealerships are excited to offer local drivers a substantial stock of new Hyundai and CDJR cars, SUVs and pickup trucks to choose from -- all at competitive prices. We have the new Hyundai Elantra sedan and Tucson crossover SUV at Ken Ganley Hyundai for your daily commute, or the new Jeep Wrangler and Ram 1500 at Ken Ganley Chrysler Dodge Jeep Ram for your work and play needs. 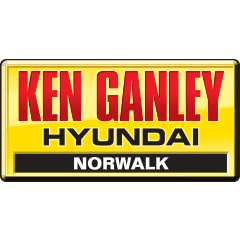 No matter which Hyundai or CDJR vehicle you are after, Ken Ganley Norwalk is sure to have it at one of our two Ken Ganley Norwalk dealerships! Our staff of friendly and helpful sales associates is here to assist you as you search the many model options and trim levels available for your next car. Visit us today and enjoy our zero-pressure car buying experience! 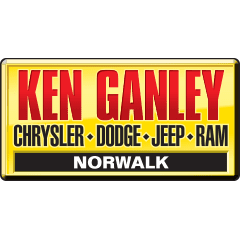 When you shop at our two Ken Ganley Norwalk dealership locations, finding the used Chrysler, Dodge, Jeep, Ram, Hyundai or other make of used car you are after is easy. We carry an extensive selection of quality late-model used cars, trucks and SUVs for sale here in Norwalk, OH. Plus, you can buy with confidence knowing that our used cars for sale undergo extensive, multi-point inspections to ensure a quality drive. Test drive a used Jeep Grand Cherokee today and let this refined Jeep 4x4 SUV take you where you want to go in Ohio and beyond! Once you have conducted your car search, compared vehicles and gone out for a test drive or two, you are ready to purchase your brand-new or new-to-you automobile from Ken Ganley Norwalk. We proudly offer auto financing at each of our Ken Ganley Norwalk locations. You should also be aware that at Ken Ganley Norwalk, we value your trade-in vehicle and extend fair market value. When you are ready to make your purchase but are thinking about your current credit situation, ask one of our finance associates to tell you all about the financing options we offer for car buyers with less than perfect credit. We are proud to be a Cleveland, OH area bad credit car dealership; our finance specialists are experts in finding financing options that fit your budget and financial situation. Keep your car from Ken Ganley Norwalk operating at its peak for many miles to come with routine auto service at our dedicated service departments. Our factory-trained and ASE Certified technicians follow manufacturer-recommended service intervals, which help preserve and extend the life and operating condition of your car, SUV or pickup truck. While we have a Hyundai service center as well as a CDJR service department on-site, our service teams work on all makes of vehicles. The next time your car is due for an oil change, brake service, multi-point inspection or tire service, see us at Ken Ganley Norwalk for the top-quality maintenance your car deserves!